Oh sweet baby bellies. I LOVE them SO MUCH. The magic of creating a life and taking some time to get some gorgeous pictures of yourself while focusing on your beauty and that sweet babe-to-be is a must for an expecting mama! Your maternity session does not have to be this intimate, you can certainly rock it just the same while covering up a little more, but as a secret? These sessions are my favorite! The studio offers key pieces in completing the maternity look whether you'd like to show the belly or cover it up a bit more. Dad and children can also be included in these sessions. In this post you will meet Ashley, who is one of the strongest mothers I've ever met. She was so sweet to work with and didn't hesitate to jump into any idea I had, and together we created the most beautiful maternity session for her! If you have a coworker who has recently had an older child, what would be the perfect gift for them? 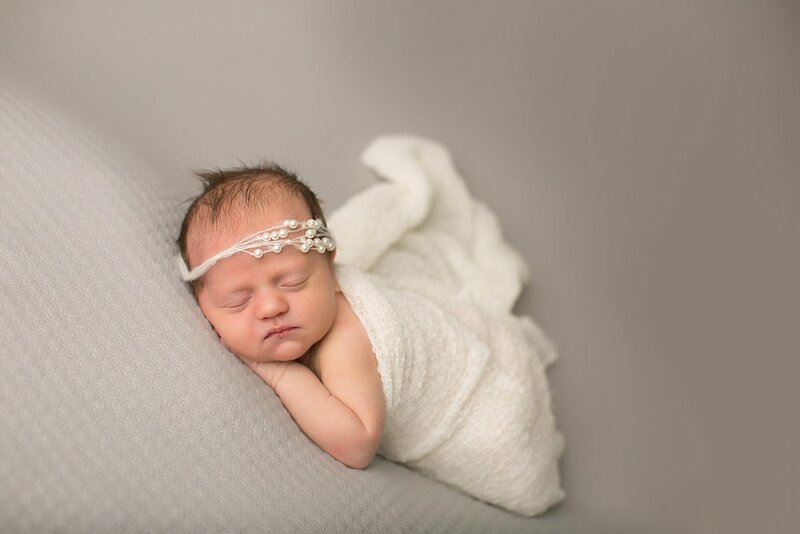 A newborn mini session of course! That is just what was gifted to this adorable family. 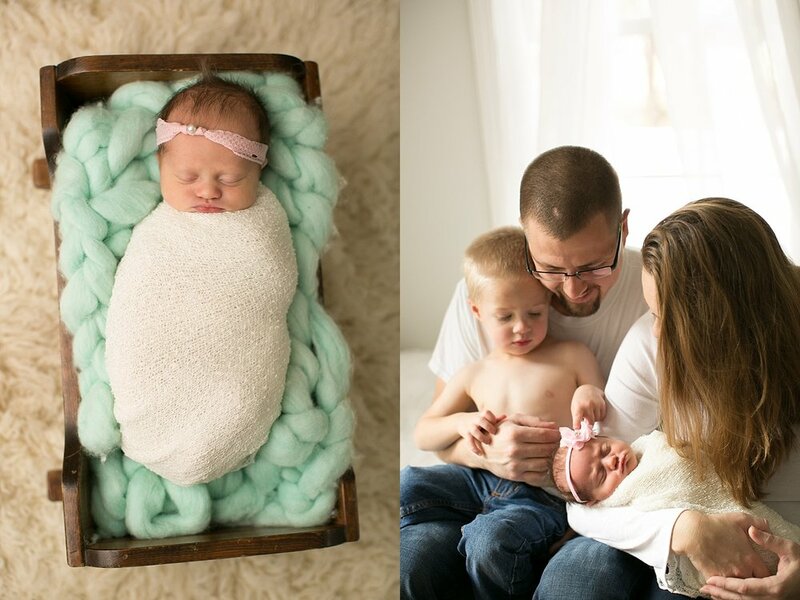 And in our mini session we did baby alone, with big brother, AND family shots! 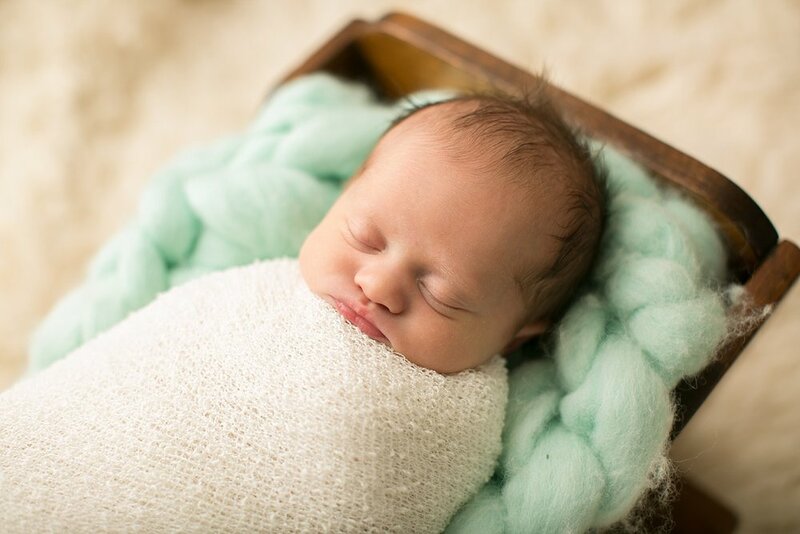 Mini sessions have less setups than full sessions and the styling isn't as big, but there is no shortage of super cute pictures. 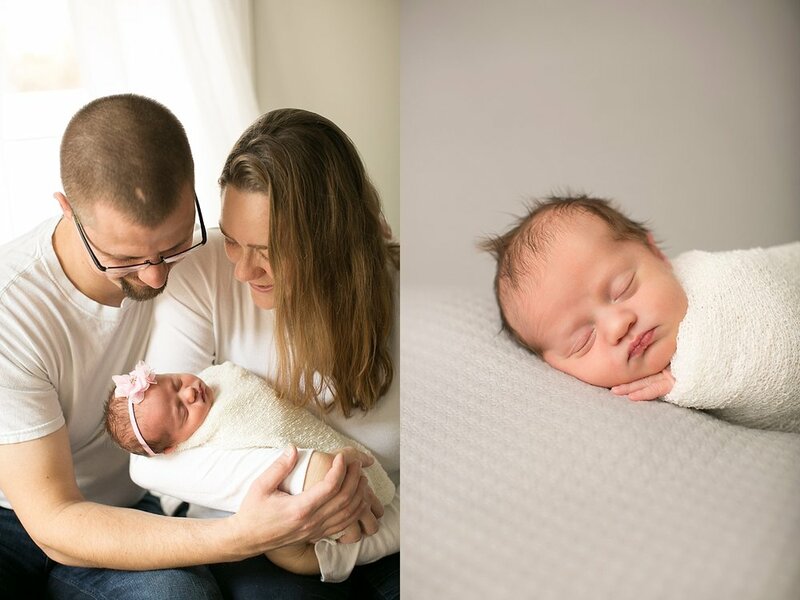 We just tend to make minimal changes to the baby and surroundings so we can get through a maximum amount of portraits in our shorter time frame. Big brother was sooo cute with her and I may or may not have had to dig in to my mini chocolate chip stash that I keep in the fridge (for an occasional treat for myself annnnnd to occasionally bribe the kids ;) to coerce him into cuddling with sister. Perks of a home studio, my home can open up and find goodies and endless supplies to help your family with any need!